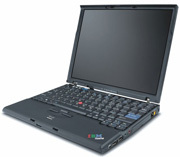 Posted on June 5, 2007 by Chad O.
GottaBeMobile.com has published benchmarks of the new Lenovo ThinkPad X61 Tablet PC. The interesting thing about these benchmarks is that they test them with and without Intel’s Turbo Memory. Intel’s Turbo Memory uses “NAND flash memory to reduce the time it takes for a computer to power up, to access programs, and to write data to the hard drive. For notebook computers, it could also improve battery life “(Wikipedia article). This is a new feature of the Santa Rosa platform. This entry was posted in IBM/Lenovo, Reviews. Bookmark the permalink.